KARACHI: Celebrating the rich and varied cultural heritage of the Hindu community in Sindh on the eve of Diwali, Alliance Francaise de Karachi, the Centre for South Asian Studies (CNRS, Paris) and the University of Karachi’s (KU) Centre for Social Sciences organised a seminar, ‘The Multiple Identities of Jhulelal And Other Case Studies’, focusing on the Jhulelal – a sacred figure for interfaith harmony that is worshipped by Muslims and Hindus in Pakistan and India, especially in Sindh. NED University of Engineering and Technology’s Professor Masooma Shakir shared her findings of how the 16th-century joint Muslim-Hindu shrine complex at Udero Lal, near the city of Tando Adam Khan, dedicated to Saint Sheikh Tahir for Muslims and Lord Jhulelal for the Hindus has a unique architectural history. 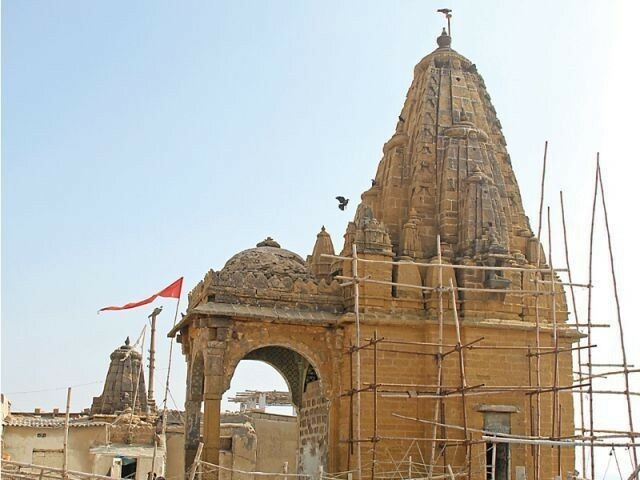 Shakir said the Sindhi Hindu community pays reverence by celebrating ‘Chetichand’ on the eve of Hindu New Year which signifies as the day of birth for Jhulelal, who is associated with water [the source of life] and is considered a saviour, especially for those who travelled by sea or River Indus. Boivin said there exist two orthodox narratives attributed to Jhuelal – one of the Hindus and the other of the Muslims. For Sindhi Hindus, Jhulelal is a name that refers to the Ishta Dev, who is regarded as an incarnation of the Hindu deity Varuna.